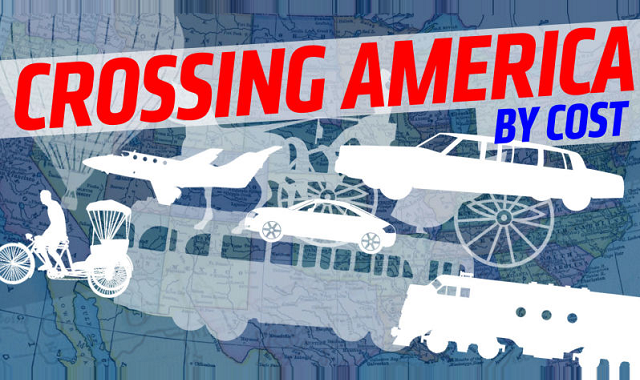 Crossing America by Cost #infographic ~ Visualistan '+g+"
Have you ever gotten in a cab and wondered how much it would cost if you just had the driver keep going until they ran out of land? Of course you have. If you live in America, I’m sure you’ve either crossed the country at some point, or at least wondered about it. Have you ever wondered what the most expensive way to do that would be? Check out the infographic below.